Yeovil Netball Club has been established for over 20 years. We are also an England Netball Silver Caps Accredited Netball Club! Please remember to visit this site regularly to get hold of the very latest information from our Club. YNC is a friendly and progressive club that aims to get the best out of everyone, no matter their ability. It’s age range starts at U11’s through to seniors. All are welcome to come and enjoy the game. Yeovil Netball Club is an inclusive club and aims to provide opportunities for both developing young players but also the older player returning to netball after several years out of the game. We strive to provide excellent coaching week by week and ensure a duty of care for all our members. There is an opportunity to compete in Saturday fixtures at a level that suits the individual. 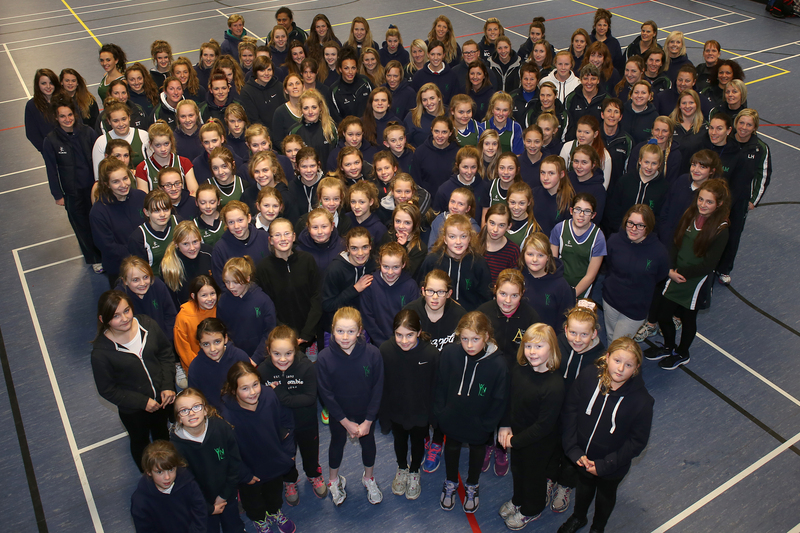 Yeovil Netball Club competes in the Somerset County Netball League over the Winter season. We currently have 7 teams: Babylon, Newton and Wyndham, Hendford, Reckleford, Aldon and finally Summerhouse. We also run Back2Netball sessions and a number of Junior teams covering U12, U13, U14 and U16. There is a cost involved in playing netball covering training fees, match fees, and affiliation and insurance cover from England Netball plus registration with the Somerset County Netball Association. Please see our forms page to find out more! Also, Back to Netball training takes place on Tuesday nights and run for 8-10 weeks at a time. Training consists of a challenging but fun mix of skills and drills where elements of the game are broken down, and skills are built up for the game situation. Teams then practise in readiness for the match the following Saturday. Training is delivered and overseen by a team of appropriately qualified and CRB checked Coaches and always includes a warm-up and cool-down.